The $US1.6 million ($AU2.06million) Hennessey Venom F5 is headed for its world debut at the 2018 Geneva Motor Show. The 1,600 horsepower hypercar is expected to have a top speed of more than 482 km/h. 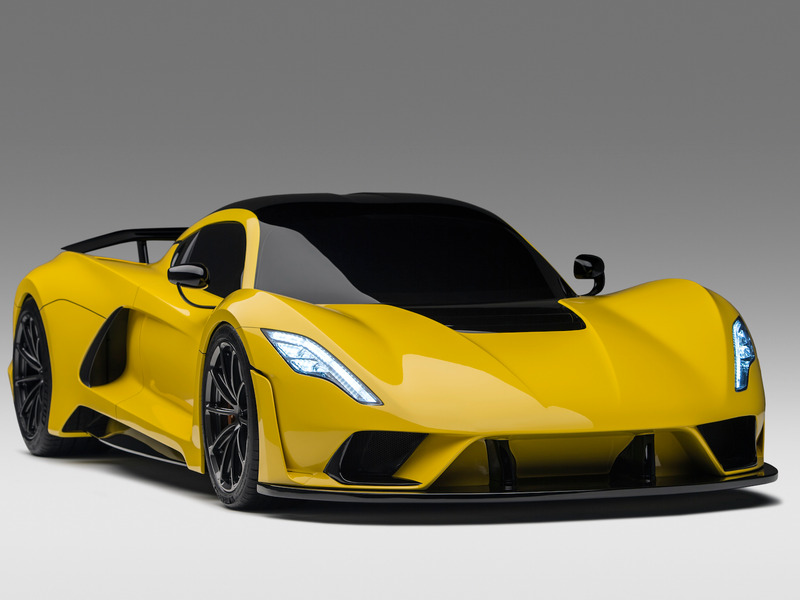 Ten of the 24 Venom F5s to be built have already been sold. John Hennessey is a controversial figure in the automotive industry. Some have heaped praise on Hennessey for his high-powered tuner machines. While others have gone as far as calling the Texan and his business practices crooked and fraudulent. But one thing is for sure. Hennessey knows fast cars. The latest hypercar to bear his name is the new Venom F5. Now, the $US1.6 million stunner will be headed for the bright lights of the 2018 Geneva Motor Show. With advanced aerodynamics, lightweight construction, and a 1,600 horsepower, twin-turbocharged V8 in the mix, the Venom F5 should be a legit rival for the Bugatti Chiron and the Koenigsegg Agera RS. In fact, Hennessey claims the Venom will go where its rivals have yet to go – beyond 482 km/h. “It’s no question of if we will break 482 km/h but a question of when,” he said in a statement. 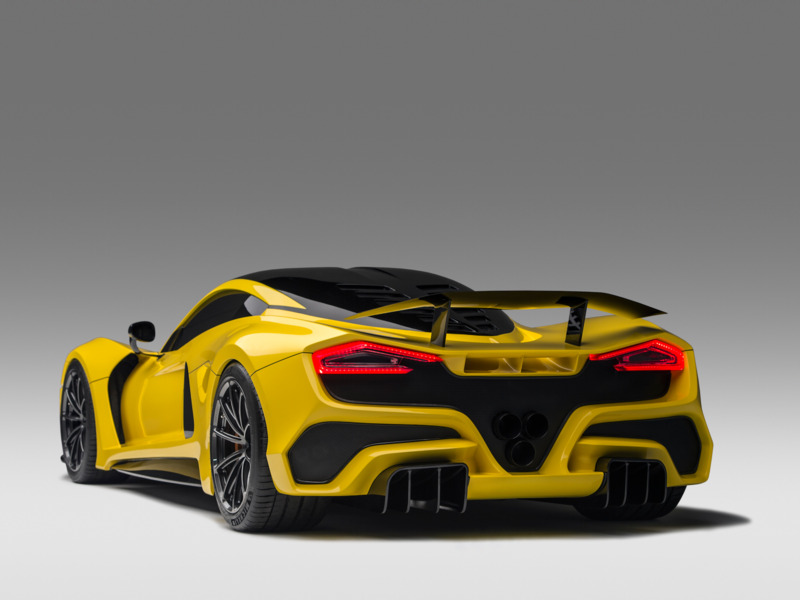 HennesseyA rear view of the Hennessey Venom F5. The Agera RS recently reached 447 km/h on a highway in Nevada while the Chiron has yet to complete an official top speed record run. However, Bugatti expects that speed to be closer to 482 km/h than 402 km/h. And then there’s the Venom F5’s predecessor, the 1,244 horsepower Venom GT. The Lotus-based hypercar managed to clock a top speed of 434 km/h. As for the Venom F5, a total 24 will be built. According to Hennessey, 10 of the cars are already spoken for. The public can check out the stunning new car at the 2018 Geneva Motor Show, which opens to everyone Thursday, March 8.